Mark's professional music career started as a drummer playing with Carlene Carter, Johnny Cash's stepdaughter and wife of Nick Lowe, in 1982. The first time Mark walked into a recording studio with Carlene to record some demos, he was excited by the whole recording process. 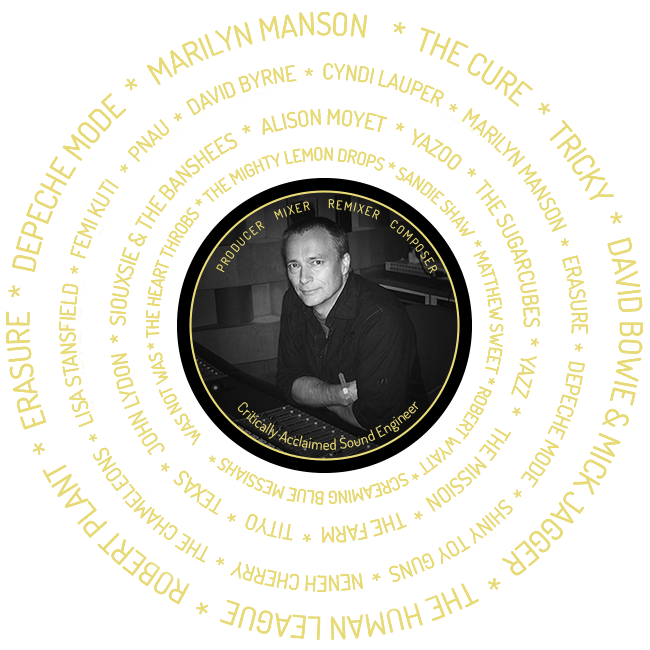 Mark has gone on to work with numerous critically acclaimed artists as you can see from the albums and singles above. Please take the time to listen and call Mark on 07879 257665 if you need his expertise. Mark's involvement with a band/artist can range from producer, engineer, mixer, remixer and co-writer. Musical Therapy is a phone call away.